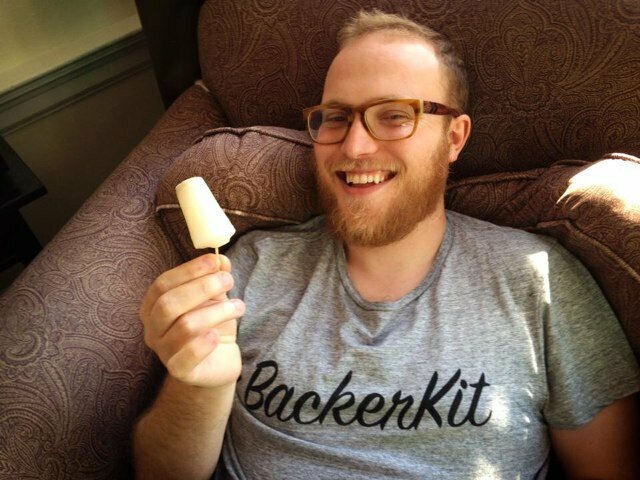 Maxwell Salzberg of Backerkit knows what it's like to have a lot of people giving him money who want something in return: he and three colleagues created the Diaspora project, one of Kickstarter's early blockbusters. He co-founded BackerKit with Rosanna Yau to help people with the problem of managing crowdfunding backers' responses and expectations. This episode is sponsored by Media Temple: Web hosting for artists, designers, and Web developers since 1998. World-class support available 24x7 through phone and chat—and even Twitter. Media Temple hosts beautiful websites and great ideas. Sign up with coupon code "tnd" to get 25% off your first month of hosting. We're also sponsored by Born SQL, who can help small- and medium-sized businesses who use Microsoft SQL Server without a dedicated database administrator. New Disruptors' listeners can get a Cdn$750 discount on Born SQL's analysis report, which examines your instances and provides extensive, implementable recommendations about making improvements. Media Temple: Web hosting for artists, designers, and Web developers since 1998. Use code "tnd" to get 25% off your first month. Born SQL helps businesses who use Microsoft SQL Server get the most out of their databases! Get Cdn$750 off a detailed report! And thanks to our patrons, supporting us by making a monthly pledge via Patreon. You can pledge as little as $1 a month; at higher levels, get our on-air and Web site thanks, T-shirts, and more! Thanks this time to Abraham Finberg and GravityFish! You help make it all happen. BackerKit has a blog that details its progress. Diaspora is now part of the Free Software Support Network, its non-profit sponsor. All the projects' intellectual property and code are under this community umbrella. Rich Stevens' Diesel Sweeties Kickstarter, intended to create a book of his work, included a reward bump to a USB drive in the form of one of his famous characters, Red Robot #C-63. This wound up being a huge bear to fulfill as he duplicated untold hundreds of robots himself. Scott Rosenberg's book, Dreaming in Code, details the irreducibility of software projects to a predictable scope of time and effort. It's a fun read, too. Kickstarter's 2013 report says the site had $480 million in pledges. About 85 percent of those are for successful projects, so that means about $410 million collected (of which it keeps 5 percent, or roughly $20 million). Horace Dediu, an analyst, funded making transcripts of a year of his podcasts. He set out for $3,000 and raised over $29,000. However, the cost and effort of doing nearly 10 times as many books was only modestly higher overall because it was a matter of more printing and electronic distribution as opposed to increasing the project's complexity. An application programming interface (API) is essentially a toolkit for software developers to "talk" to a system in a standardized way that doesn't require they get into the guts or have special access. If Kickstarter creates a survey API, BackerKit and others could build tools of their own that send queries and interact with Kickstarter without Kickstarter having to build out all the services that would benefit from exposing data to campaign managers. There's a growing ecosystem of companies that complement crowdfunding sites or are alternatives to them. Crowdtilt offers crowdfunding for things as simple as splitting the cost of a meal or funding school projects. Crowd Supply vets products for feasibility, helps connect projects to manufacturers and a supply chain, and releases money partly based on completion targets. Outgrow.me is an outlet for designers who funded projects via Kickstarter, Indiegogo, and other sites, and now need a way to sell their goods without handling orders themselves. Make That Thing! is a spinoff of TopatoCo (a merchandise house for webcomics artists and others) that runs crowdfunding campaigns for creators from conception to fulfillment; it's still in closed beta. Posted in Crowdfunding, Podcasts, Software. January 30, 2014 by Glenn Fleishman.